For your jaw to function correctly, and for full use of your bite, you need to have teeth that sit close together in your mouth but line up correctly. If your teeth are too small and feature significant gaps in between them, you might need to see a dentist to have the problem addressed. Large gaps can be fixed with braces, and it could give you a much-needed confidence boost in the process. The perfect bite is where your teeth fit correctly together when you bite down, but this isn’t the case for everyone. If you have space between your upper and lower teeth, you have an overbite or an underbite; it’s time to consult a dentist. Braces can help correct your bite, all the while reducing the risk of facial asymmetry. Jaw pain is often associated with jaw misalignment, which can be caused by the aforementioned unnatural bite. Braces can help to align your jaw, correct your bite, and subsequently alleviate your jaw pain. It’s best to see your dentist sooner rather than later, as the longer you leave it, the more damage your bite can do to your jaw structure. Imperfections in your speech, such as a lisp, can be linked back to how your teeth are positioned in your mouth. A lisp can be caused as a result of crooked or crowded teeth (malocclusion). While getting braces is not guaranteed to remove your lisp, it can go a long way towards making it less noticeable. 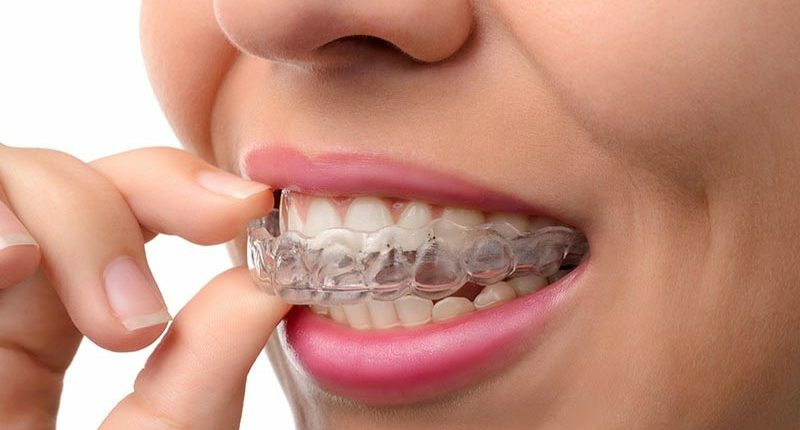 Many people choose not to visit a dentist when they know they need braces, purely because the thought of having big pieces of metal in their mouth is off-putting. As this is no longer the only solution available, there’s no time like the present to book an appointment. Invisalign Invisible Braces can be removed for eating, drinking, flossing, and brushing, and the aligners are changed as your teeth change. You could revolutionise your smile in as little as 9-15 months.